This is not intended to be a tutorial on how to use these three programs as excellent tutorials already exist, I will simply expose the settings and processes I used for support generation. 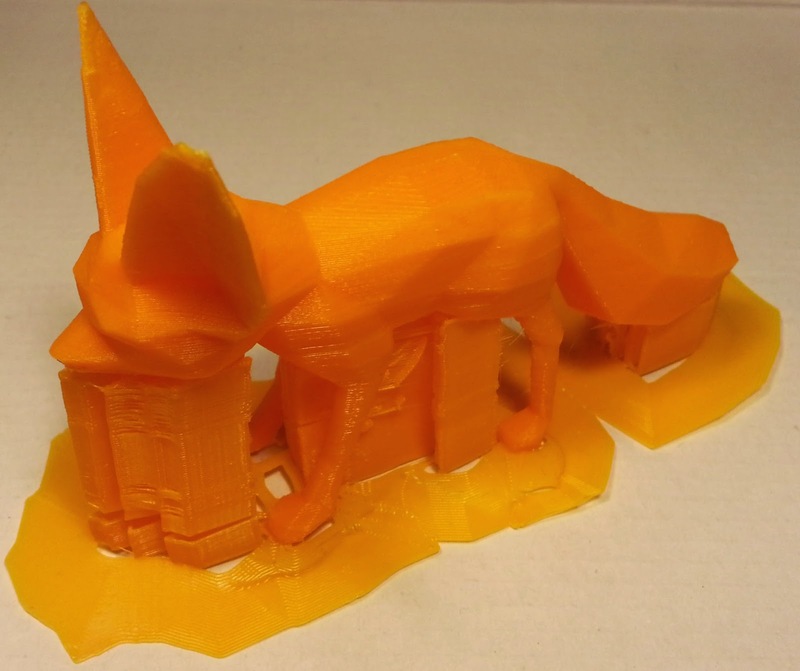 I chose two models as test pieces: low poly Fennec Fox, uploaded to thingiverse by Physics_Dude. I scaled this model to 120% for the tests. 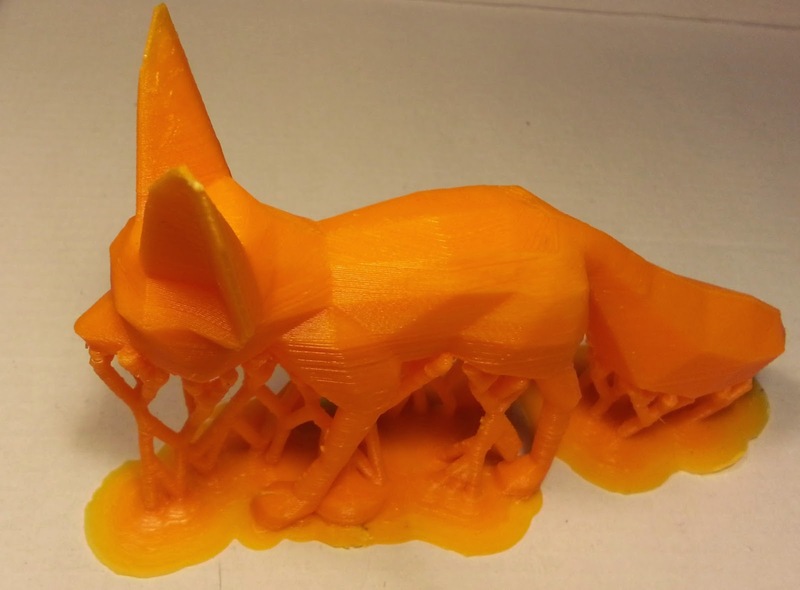 Printed as one piece it requires significant support to print properly. Which has some tricky internal overhangs when sliced without infill to make a pot. 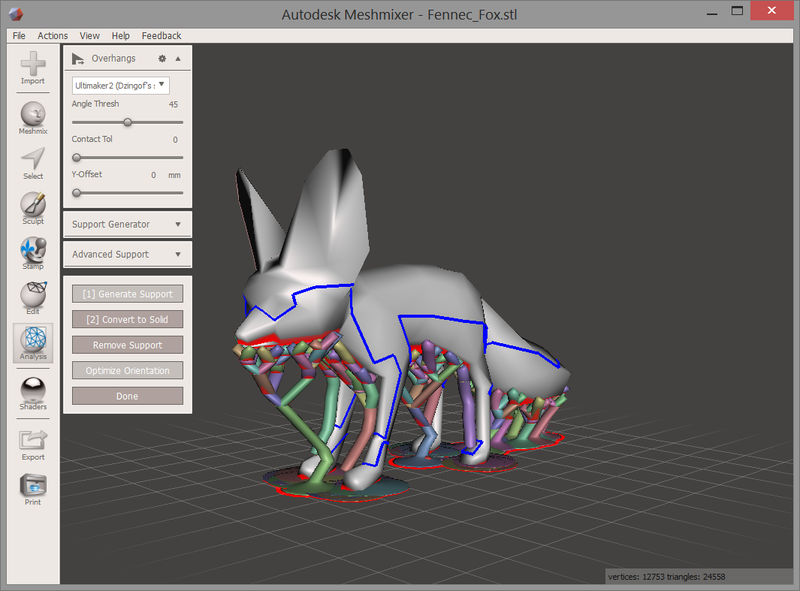 The meshmixer support generation is semi automatic - it is automatically generated but I found it needed a bit of tweaking to fully support this model. The support is generated over all the area highlighted in red, you can modify how thick you want the columns and the interface points. I have gone for 2mm columns with 0.8mm interface points (where the support narrow just before touching the model). 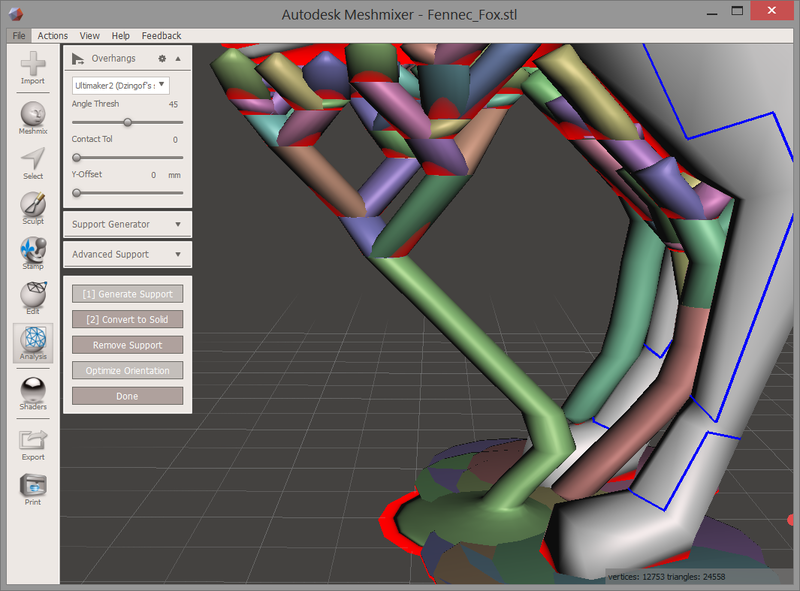 Meshmixer support - starting from the fox's foot rather than the build surface. One of the more annoying "features" is the autogeneration choosing to start a support pillar from a surface of the model (as shown in the picture above) rather than from the build surface. Another issue I found were quite long support pillars that were too fragile to consistently support themselves. This is where you can add additional support pillars to shore them up as shown below. Clicking on the point you want the support to be on either the model or an existing support will drop a pillar down to the build surface (or you can click and drag for finer control). I found this was required for the taller support columns. 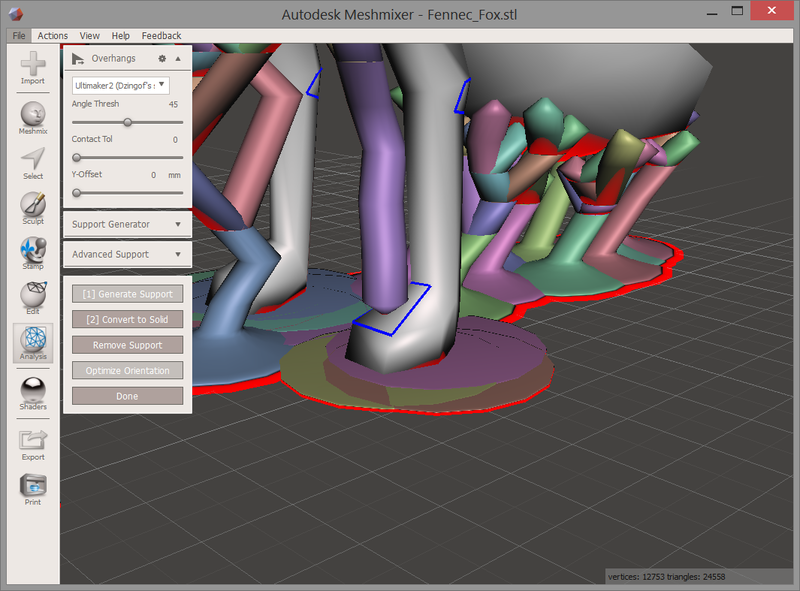 Finally you click "convert to solid before exporting the model as an .stl. this can then be sliced without support with Slic3r or Cura as you like. Also it was difficult to manually add support columns that go down to the build plate - they insisted on snapping to the object instead. An issue with all the slicers: when using the solid object there is obviously no way to generate support inside for overhangs. The pillars pattern is relatively new and should provide a good compromise between strength of support and use of material. I did not see a noticeable difference in the support generated with "support bridges " checked or unchecked - probably because the foxes body and the overhangs on the bonsai planter have a slope to them. The pillars are interconnected with lines - seemingly at random. 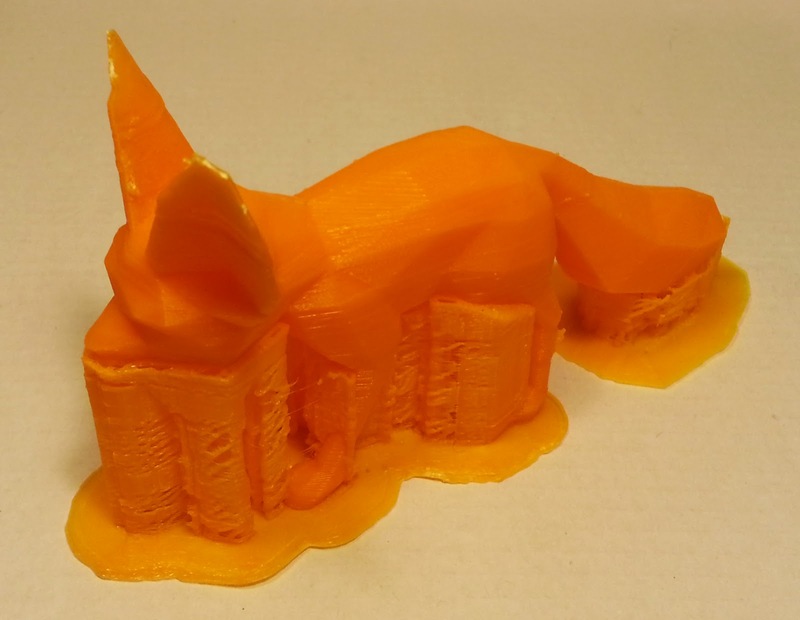 In expert settings you can tweak the support which allows you to put space between the support and the sides of the object - another good option to reduce the occasions that the support messes up parts of the print that do not need support. Although I have not had a print jam due to retractions using any of the support options. All these examples were printed on the Mini Kossel printer, in generic ABS at 0.2mm layer height. The picture in detail shows the support columns narrowing to a nominal 0.8mm at the top. 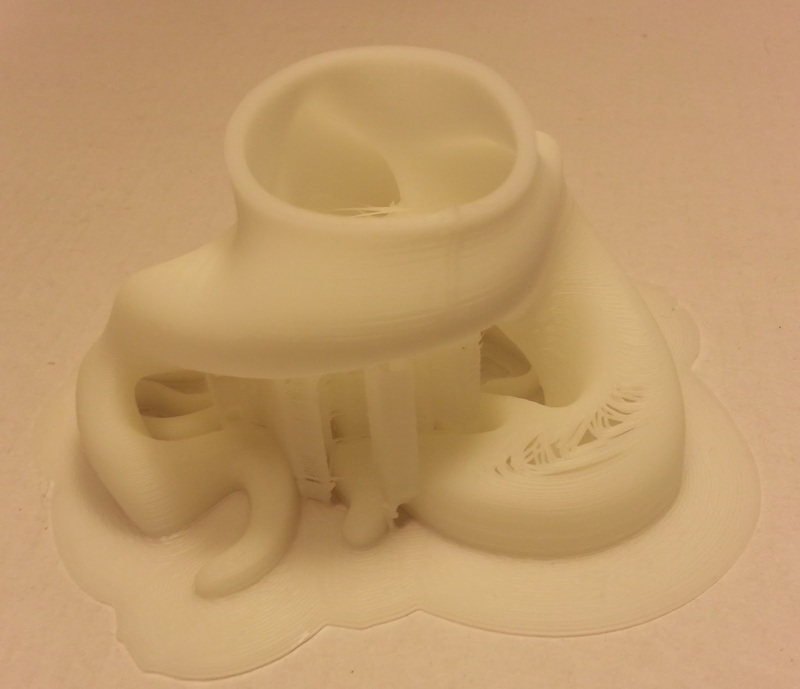 I did not try the bonsai planter print with meshmaker support. The support itself consisted of columns with wispy bits between them - maybe there is no retraction with the support? Also note how the support is partially encasing the front legs. I tried to reduce this issue by using 6 perimeters which improved some areas but was not enough. 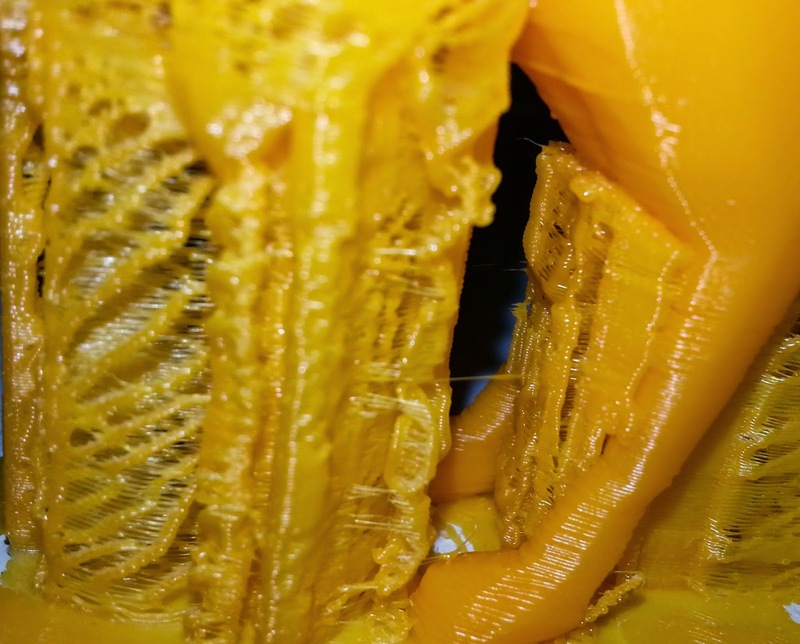 Due to the long straight lines and printing in ABS the support warped quite a lot as shown in the photo, however it did not affect the print in any noticeable way. Cura had the same issue with the internal unsupported areas of the bonsai planter that Slic3r did - in addition it showed quite a bit of stringing internally, I wonder if it does not retract for internal, no perimeter crossing, moves. 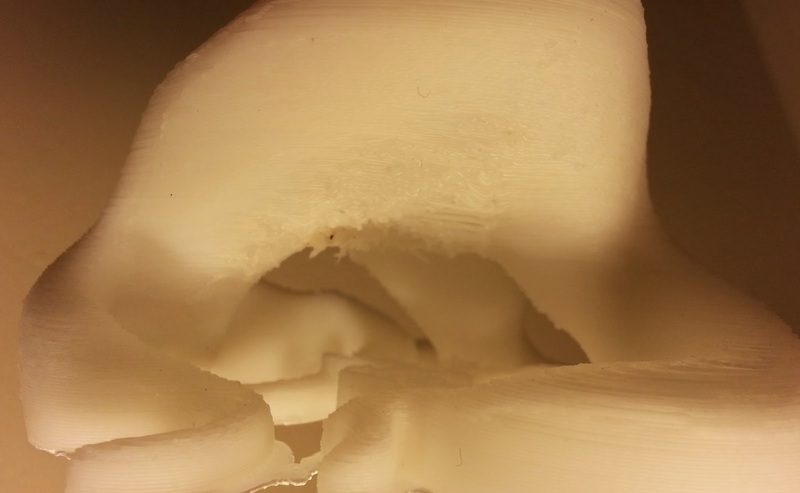 While in general this is probably fine if there is no infill the inside should be treated in the same manner as the outside so this is an area for improvement. In all cases I removed the support by hand, assisted by a pair of small side cutters for finishing off. 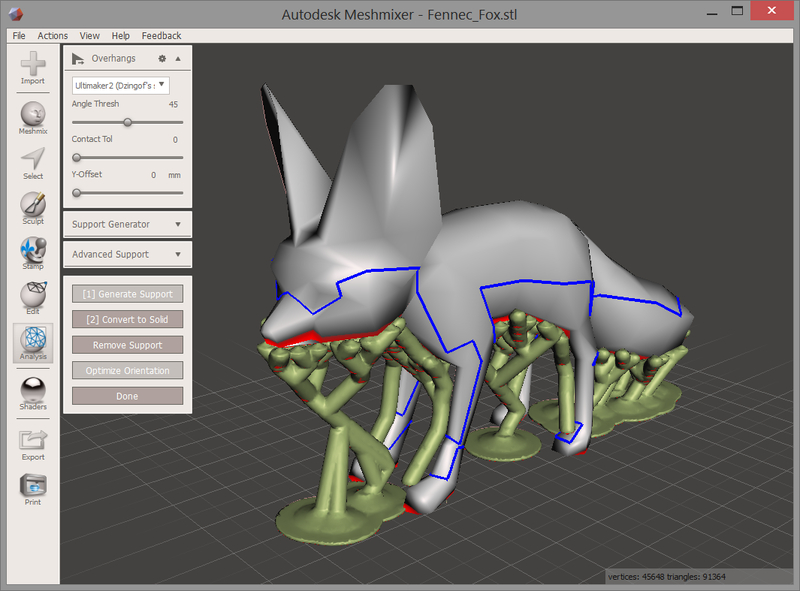 I spent no more than 5 minutes on each fox model so more support could be removed by further work, ie by filing/sanding. 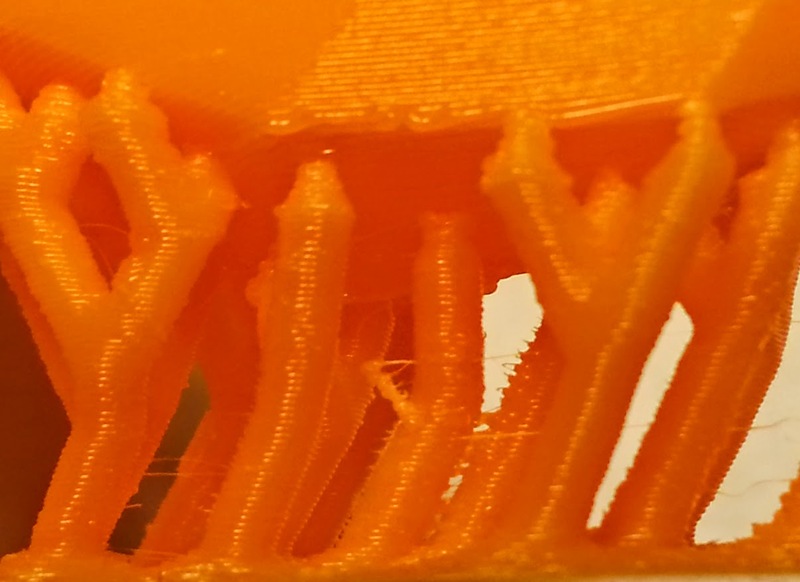 As can be seen the remaining support marks are quite obvious, however the support did a good job of ensuring the supported layers printed well. The fox body was a different story - here the support was tangled up with the top of the legs and it was difficult to remove the last few layers. As there was no gap between the support and the front legs there were support marks along the sides of the legs. With the bonsai planter the support came away relatively easily - with similar issues where it unnecessarily touched the model walls. The supported surface in this case though was not that well supported and looked rough. 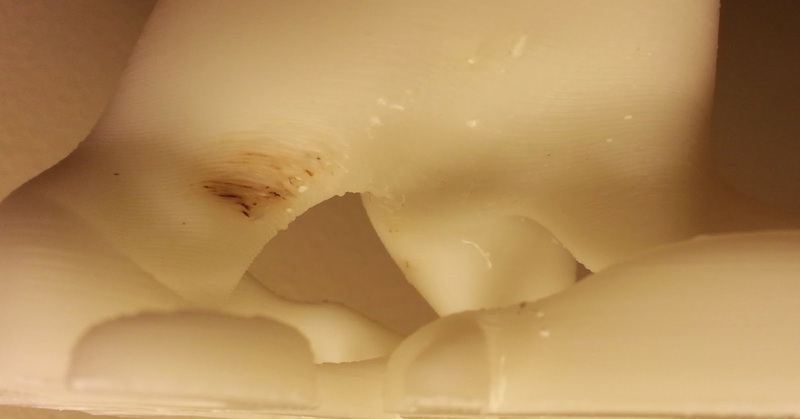 The cura support was almost as easy to remove as meshmixer, leaving noticeable lines that none the less looked better than the meshmixer spots. Cura proved to be the most consistent across the whole model and the support only touched the model where it was required. For the Bonsai planter the support was similarly easy to remove and left minimal marks overall. It did a better job than Slic3r in supporting the model however it left one area unsupported that arguably should have been. 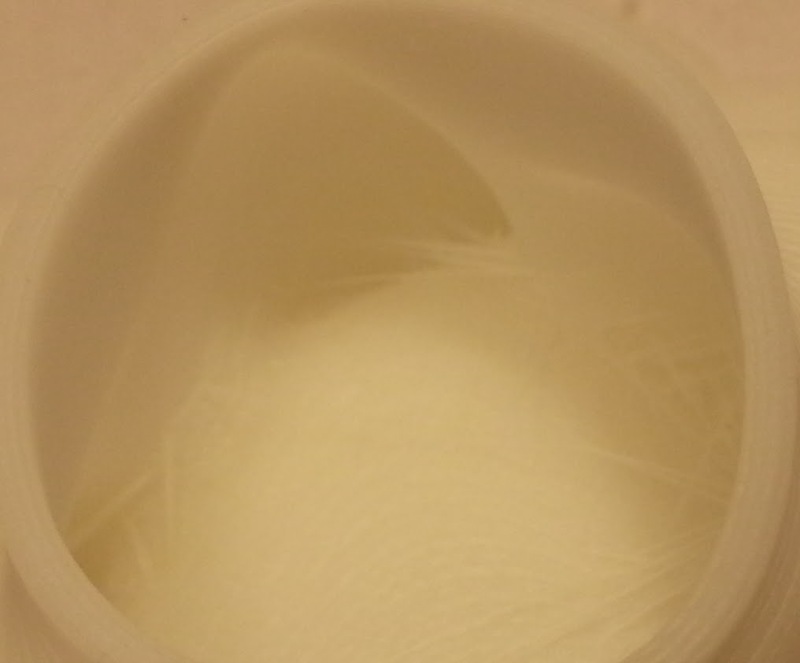 This lead to the perimeters curling up and the white filament being discolored by the nozzle. 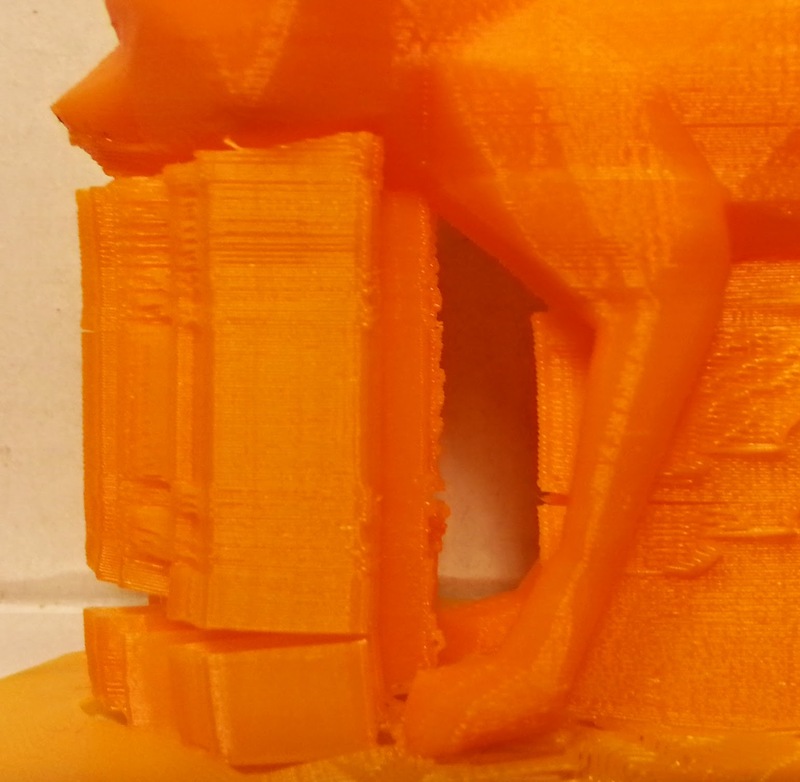 This support was the most efficient in material use however it required the most manual tweaking to print properly. In addition the marks it left once removed were more noticeable than Cura and (sometimes) Slic3r. While the settings could probably be further modified to improve the performance this support type appears the most limited for future improvements. While some of the support left marks, overall it was the easiest to generate support which performed consistently well. Once again though slight tweaks could improve this further for specific models. Overall Cura wins my "no time to tweak - got to make it work now" award. Over the last few years the support generation in Slic3r and Cura has improved a huge amount (no idea bout Meshmixer as I only just started using it). All three of these programs are under constant development and frequently get improved so this blog post is definitely not the last word! I would welcome other people's experience with the support functions and tweaks to make them work better in specific situations. I have also left out at least one commonly used (but not free/OSS) program in KISSlicer - one to evaluate in the future. I got to admit i tested Meshmixer before i "found" Cura's 2 types of support structures. I've used 0.4mm as the tip point of the support struts - it was easy to remove and left a clean surface. Then i moved to try Cura's "lines". I set the x-y to 0.4mm and the results were smooth and near perfect. I call it "Crispy Waffles". I will continue testing. But for now Cura's "Lines" is the winner for me too. 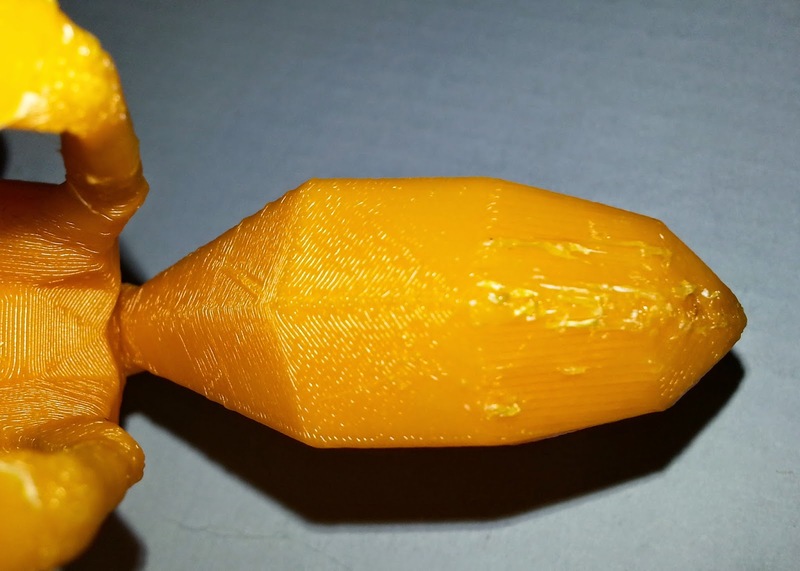 Thanks for publishing your settings for Cura and Meshmixer - they were a good starting point. 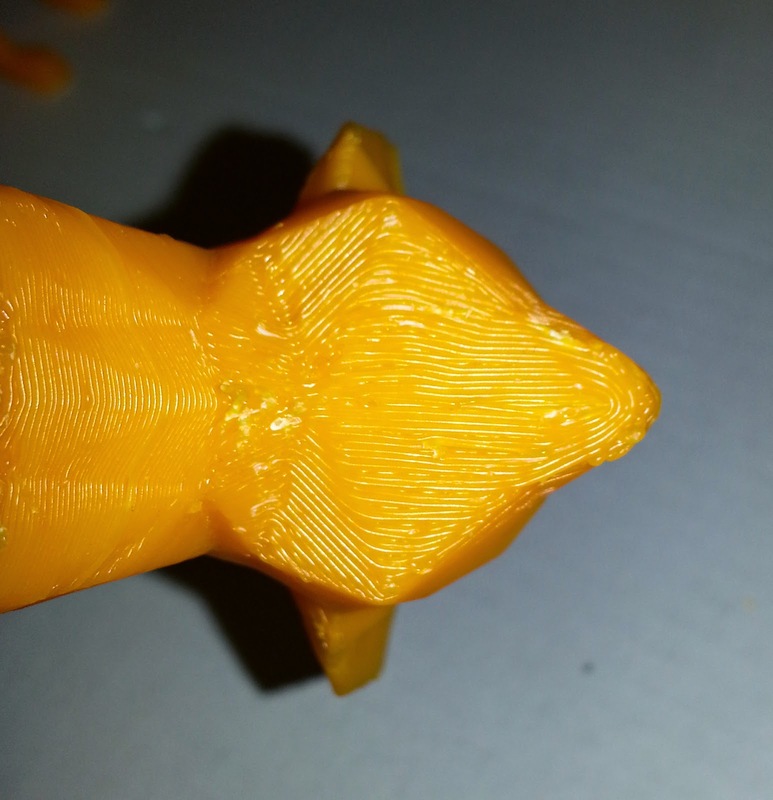 With 0.4 as a tip point on meshmixer I had some variable adhesion with ABS, changing to 0.8 worked better but with the obvious issues with more pronounced marks. 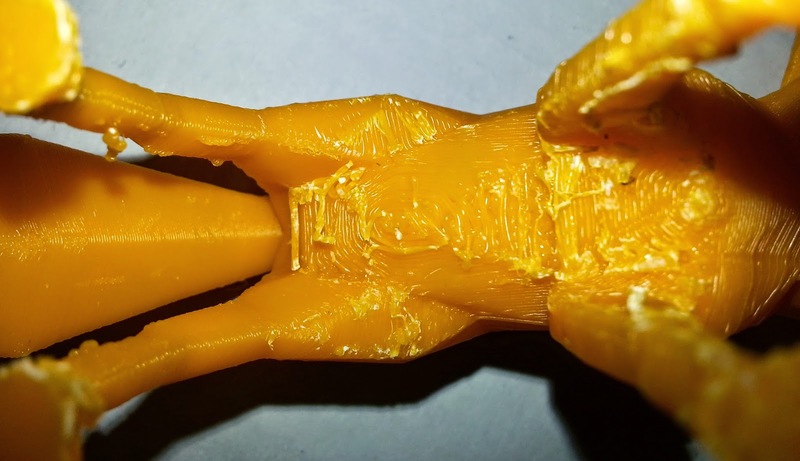 Cura alos has the great option with its retraction to force you to extrude at least "x" amount of filament before doing a retract which prevents the wearing of a specific patch of filament. This is definaitely something that should be common practice. 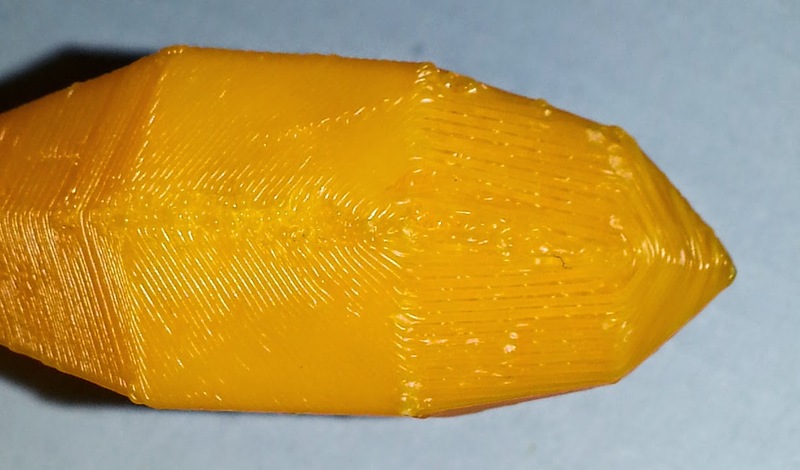 Most slicers make you do at least a "n" mm move before retracting but only cura (as far as i can see) insits on extruding a certian amount before retracting again. What is most obvious compared to a a year ago or so is how much improved this is across the board! It took me much much longer to remove support previously. also been trying support this weekend as iv been playing with extruder speeds. 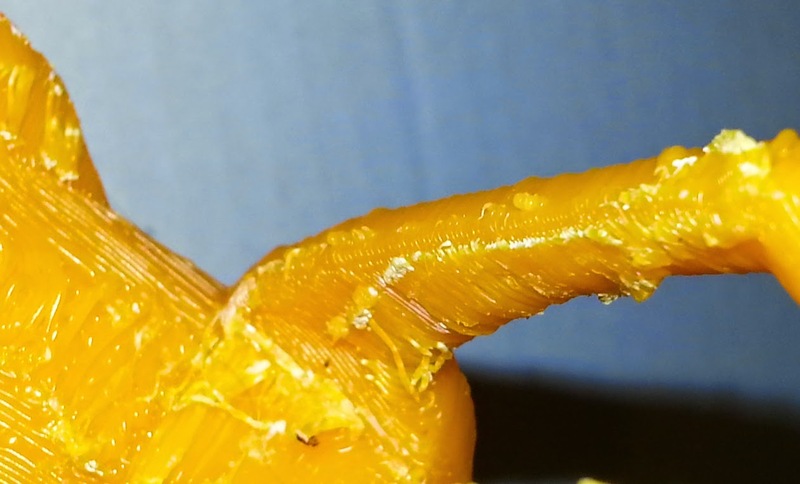 iv found slowing your retraction to 20mm/sec will help with retraction a lot, when doing this i also didnt see any issues with the bowden setup on mini kossel. I have mine set to 30mm/s with no issues - I have noticed that significantly faster than that (45mm/s) can lead to occasional skips of the retraction/ 30 is a good compromise because it allows me to turn up the print speed by ~30% without messing with the retract too much. Obviously the speeds and percentages only apply yo the specific extruder drive, in my case the stock Think3dPrint3d mini kossel one. 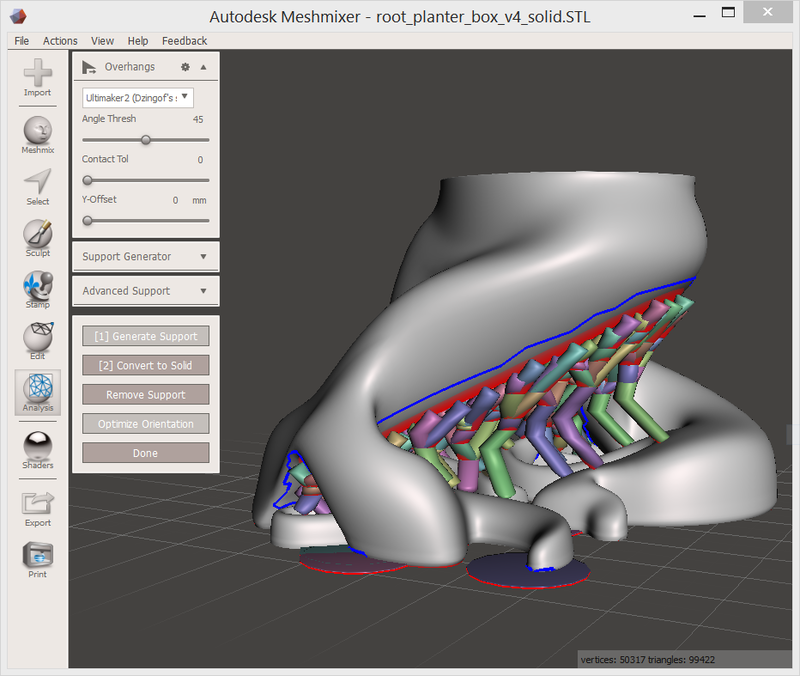 Have you looked at Simplify3d's support structure placement and generation capabilities? I know it might be slightly costly but I'd say after using a few of the available slicer programs that it would be the simplest one to work with yet, not to mention the cleanest one in breakaways and automatic generation. I also love the manual structure placement feature that it has, so you might want to have a look at it! Thanks for the heads up, good to see another contender. Personally though I would rather contribute my $140 to Slic3r as its development benefits the entire community. Very good point indeed, and I would like to add on that KISSSLICER seems to perform very well too so hopefully you get a chance to look into that as well. I might be pretty fresh to slicers in general, and I've been wondering about skeinforge, I came across the name multiple times when reading up but I don't really see it mentioned anymore. (also see it in the printrun settings on slightly older versions) What has become of it? 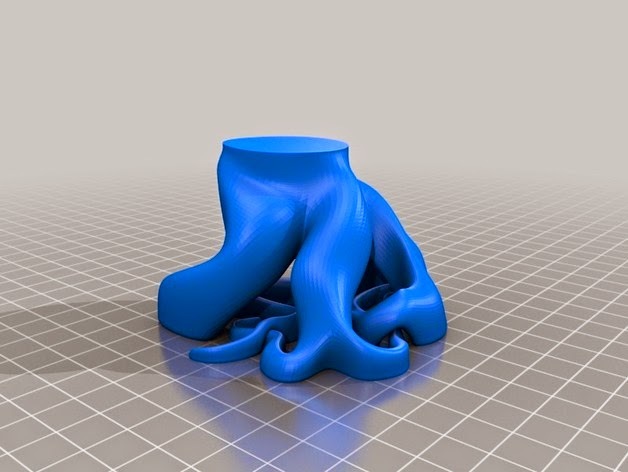 I used Skienforge briefly when I was first getting into 3dprinting however the user interface take some getting used to and AFAIK its no longer being developed. Nophead recommends it for versatility and from memory he has written various blog posts on specific features. Its very slow to slice models with it and more than that I don't know..not looked at it in years! Hi Tony, it's great to see your comparison of slicing programs. 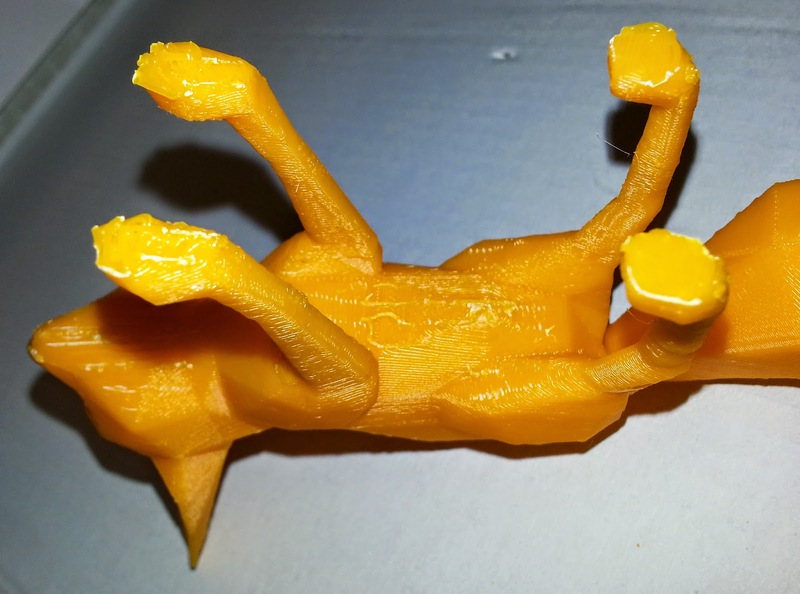 May I suggest you ask for an evaluation copy of Simplify3D and try the same models in it? Although it's a paid-for program, a few users on the Ormerod forum are claiming it's a lot better than the free programs.